A kitchen island can become the central feature within your kitchen. It is a place where you can cook, entertain and sit with family and friends on a daily basis. It can be used in many different ways depending on your needs which is why it is becoming a popular addition to many homes. Kitchen islands are practical, stylish and an innovative way to add additional storage and appliances. They give you ultimate flexibility as you can choose how to use them, whether you want a seating area, an additional cooking area, a storage point or a quirky breakfast bar, your kitchen island will suit all of your personal needs and requirements. 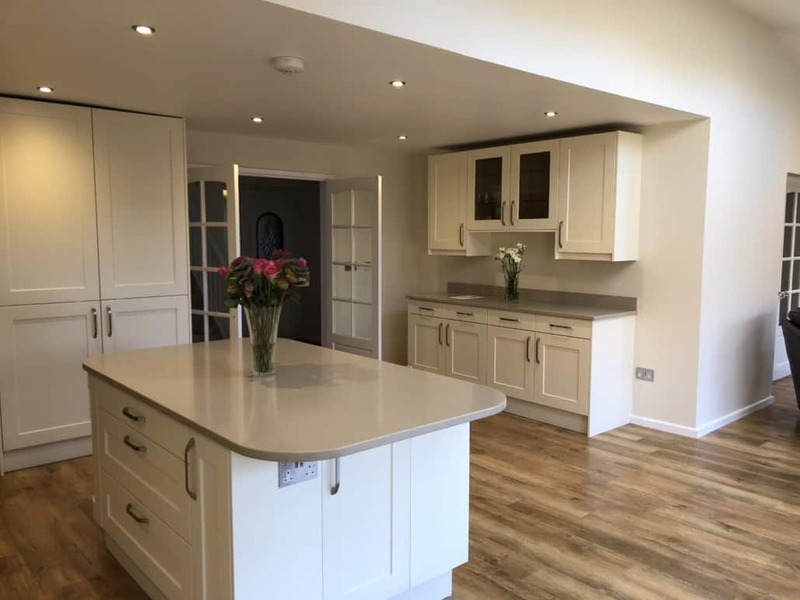 Here at CKS Frimley Green, we are pleased to provide our customers with the finest high-quality kitchen island for their homes. There is an extensive choice of different colours, materials, shapes, sizes and storage options for you to choose from so that you can truly personalise your kitchen island. A kitchen island can give you plenty of extra storage so that you can store all of your cookware, utensils, foods and other belongings. You can choose drawers, racks, cabinets, deep drawers and shelving for your kitchen island to store whatever you need. A kitchen island can also help to save space in your kitchen and keep it neat and organised. A kitchen island is a great way to keep your friends and family together and seated in one central area. This is handy as you can keep an eye on children and communicate with family guests while you cook. Many people are now choosing to use a kitchen island as a seating area rather than using a dining table as it is stronger, sturdier and creates an intimate setting within your kitchen. Compared to a dining table, a kitchen island will not wobble, tip or nudge which is a lot safer for those with younger family and guests. You will find that you have plenty of flexibility when it comes to choosing your ideal kitchen island. With many different purposes, materials, storage and styles to choose from, your kitchen island will be tailored to you and your personal needs. A kitchen island can be very handy to add extra appliances. Whether you require an additional cooker, fridge, hobs, hoods or bins, you can store these items in one place so that it frees up valuable space in the rest of your kitchen. You can also create a family breakfast bar by adding toasters, kettles and storage for dried food such as cereal and bread. Here at CKS Frimley Green, all of our kitchen islands are stunning and unique to you. Made from the highest quality fittings and materials, we can ensure that your kitchen island will be strong, durable and will last for many years of enjoyment. If you would like to know more about our beautiful kitchen islands, please do not hesitate to contact us here at CKS Frimley Green. We will be happy to answer any questions you may have and give you friendly, expert advice to help you get started on your perfect kitchen island. The areas we cover are, Guilford, Camberley, Frimley, Frimley Green and Farnham. We look forward to hearing from you.